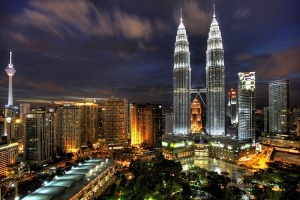 The event will take place in Kuala Lumpur, the capital of Malaysia. Updates, news and details for the speakers can be viewed on the Facebook event! *NB! Final agenda is to be provided by 25 Sept the latest! Registration and Arrival of Delegates. Arrival of VIP and VVIP. Welcome Remarks & Prayer Recital. Crisis Communications in a Social Media World. Reputation management: Trends, Opportunities and Challenges. Leading experts sharing the key to success in their professional career and life. Gala Dinner at Dewan Tun Hussein Onn, Level 2, PWTC. Staying on Top: Effective Leadership Communication. Panel 4: Social media and Communication. Impact and Insight on Social Media: Communicating Your Story. The Art of Selling: Communicate and Grow! Strategies for Your Business: Tips and Tricks by Leading Experts.